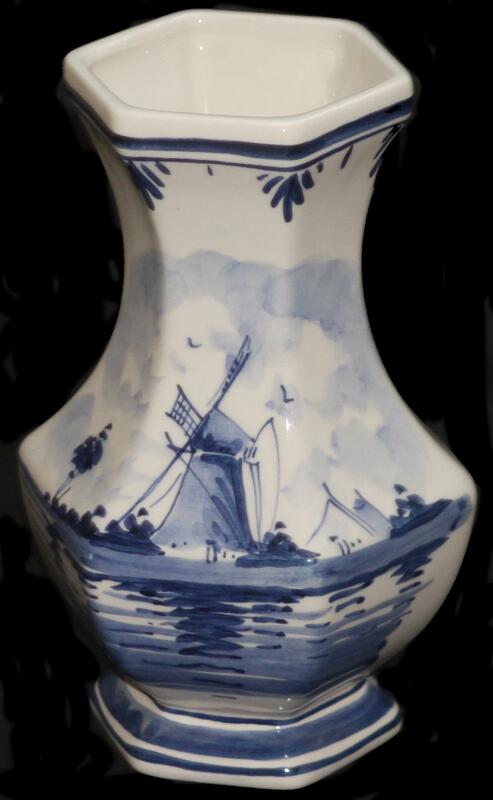 DeWit Delft 6 Sided Vase Blue Windmill - De Wit - Delft - The Dutch Shop LLC your store for Dutch groceries. DeWit Delft 6 Sided Vase Blue Windmill 18cm. All DeWit Delft products are exquisitely handpainted at the DeWit factory located in Gouda in the Netherlands. The Ceramic Industry M. De Wit.